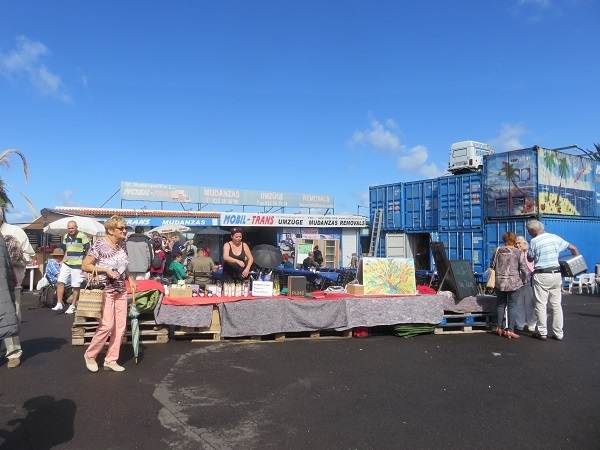 Don't forget, next Saturday, November 10, from 10am to 2pm, the popular flea market will take place in the courtyard of the Mobiltrans removal company. There will be beautiful, old, vintage, useful, bizarre and other items for sale, as well as the olive oil from the Finca Noel, which we described in the last issue of Island Connections, which is distributed and offered locally. In addition there will of course be freshly tapped beer and bratwurst rolls. Donations are welcome for children from socially disadvantaged families in Santa Úrsula, for whom Mobiltrans prepares a Christmas present every year. Mobiltrans is located on Camino Clemente 18, in Santa Úrsula, motorway exit 28. Produced with news.CMS in 0,0687 seconds.